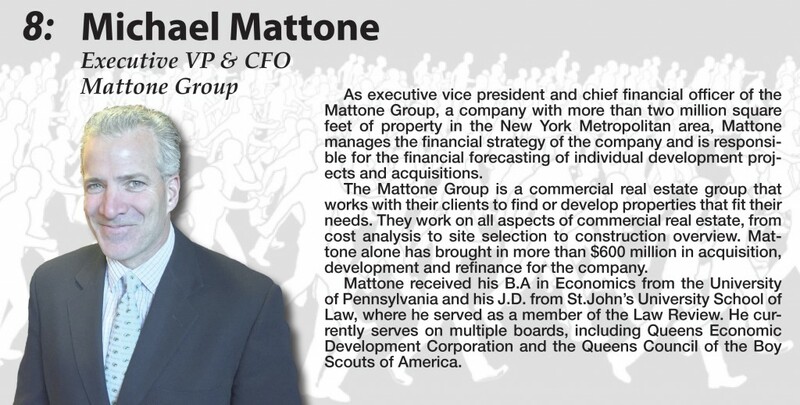 As executive vice president and chief financial officer of the Mattone Group, a company with more than two million square feet of property in the New York Metropolitan area, Mattone manages the financial strategy of the company and is responsible for the financial forecasting of individual development projects and acquisitions. The Mattone Group is a commercial real estate group that works with their clients to find or develop properties that fit their needs. They work on all aspects of commercial real estate, from cost analysis to site selection to construction overview. Mattone alone has brought in more than $600 million in acquisition, development and refinance for the company. Mattone received his B.A in Economics from the University of Pennsylvania and his J.D. from St.John’s University School of Law, where he served as a member of the Law Review. 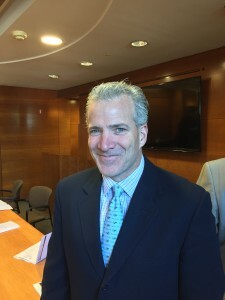 He currently serves on multiple boards, including Queens Economic Development Corporation and the Queens Council of the Boy Scouts of America.